This commentary has been adapted from the author’s Sep. 17th posting to an online rail transit discussion list. How dense does a city need to be to justify a rail transit system? 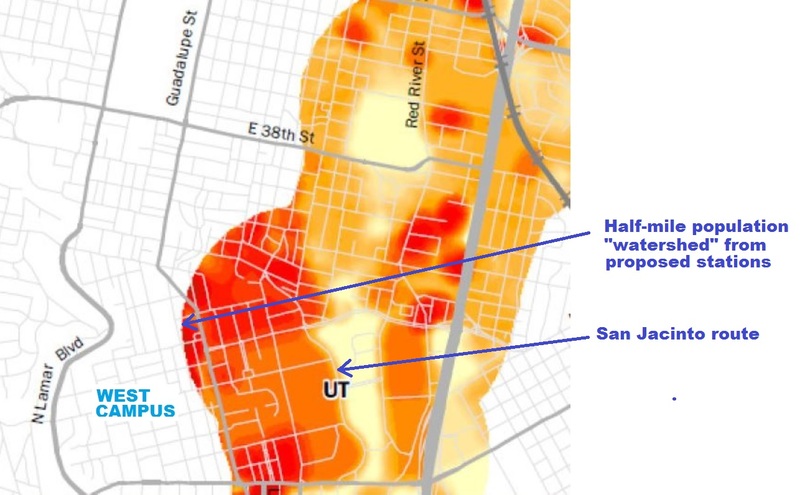 One of things that the hard-core rail transit opponents like to do is to confuse a city’s overall population density with travel corridor density. 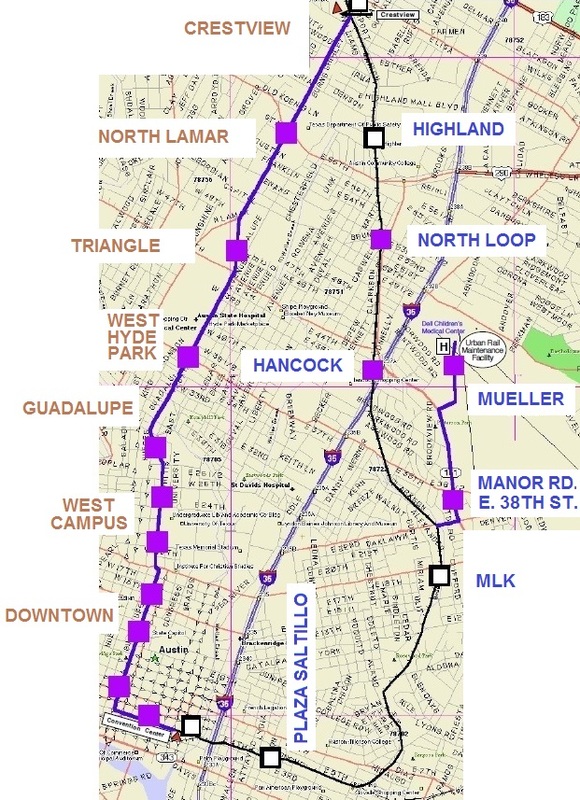 Los Angeles, for example, because it grew up around 1100 miles of electric urban rail, has some very dense travel corridors, notably the Wilshire Blvd. corridor where currently they are about to begin construction on the “subway to the sea” (extension of the MetroRail rapid transit subway line to Santa Monica) The Wilshire corridor has densities comparable with those in New York City. In my 35+ years as a transit advocate, I’ve heard the “Austin doesn’t have the density to support rail” argument hauled out time and time again. 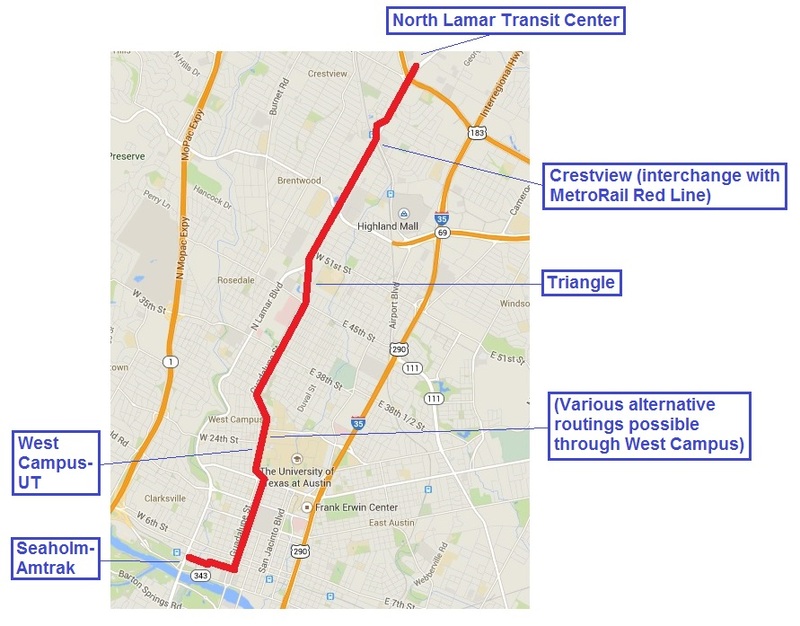 But Austin has a very congested core where 50% of the region’s employment is located within a half-mile of a six-mile-long travel corridor, Guadalupe-North Lamar. 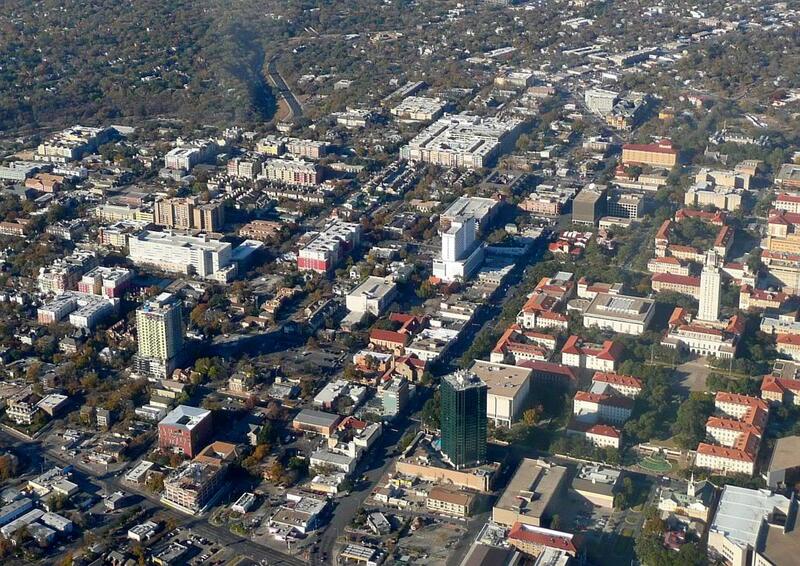 Austin is unique in that a 50-block-long segment of that corridor contains downtown, the Capital complex, the University of Texas (UT), and two residential areas, West Campus and Hyde Park with densities of more than 12,000 per square mile. And lots of people who don’t live there are traveling up and down this corridor trying to get to these places. 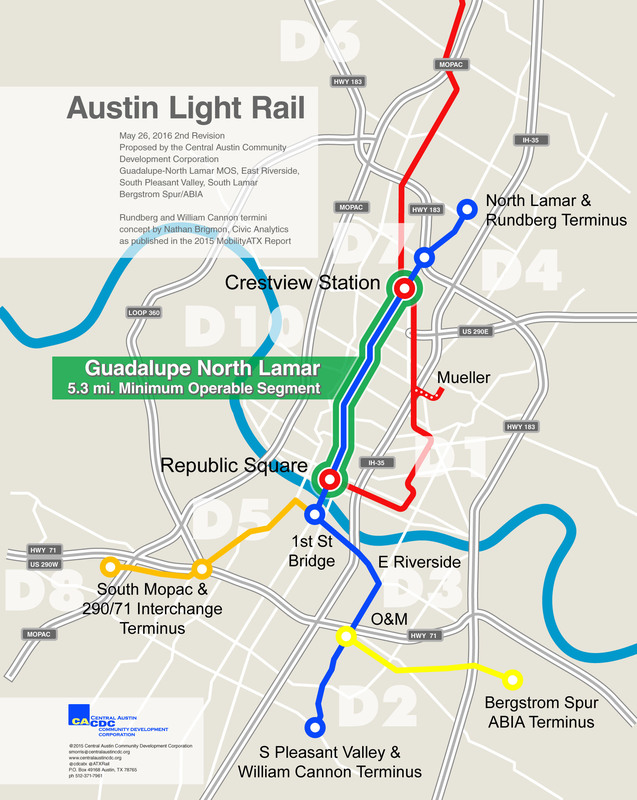 You are currently browsing the _______________Austin Rail Now blog archives for September, 2014.